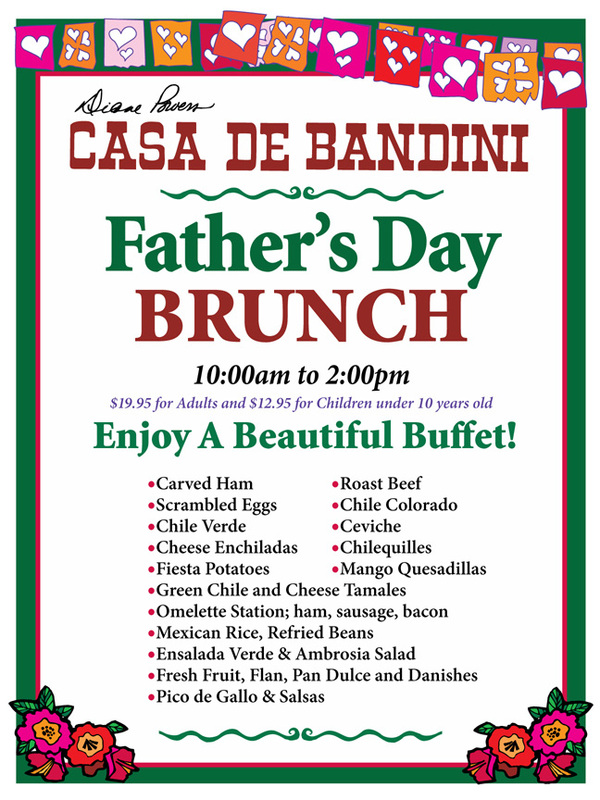 Join Us At Casa de Bandini for a Delicious Father’s Day Brunch! 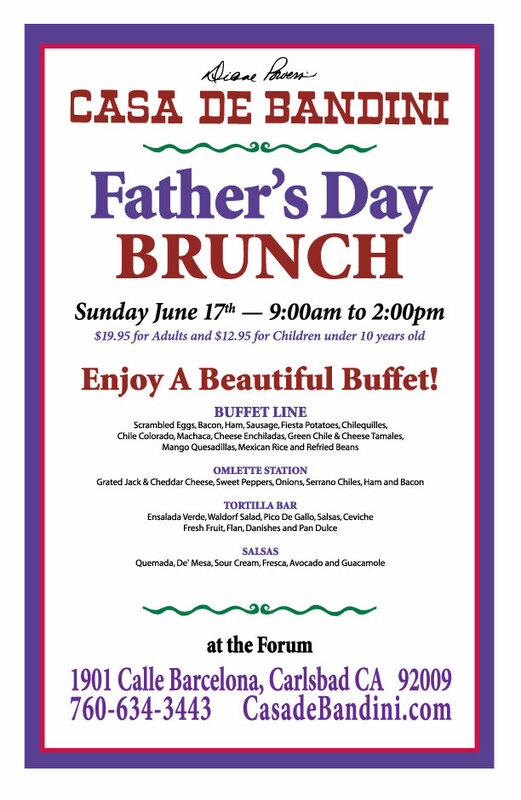 For the first time, Casa de Bandini celebrates Father’s Day with a special brunch featuring classic and tasty Mexican dishes alongside an array of traditional sides. The festive Father’s Day menu will include: Chile Colorado, Chile Verde, Green Chile and Cheese Tamales, Fiesta Potatoes, Mango Quesadillas, Omelet Station, Chilequiles and sweets such as Pan Dulce. Casa de Bandini boasts the trademark design of owner Diane Powers, with its colorful dining rooms rich in Mexican and South American folk art and lush landscaping. Casa de Bandini guests can dine under color-drenched umbrellas in beautiful outdoor patios and enjoy the famous giant margaritas on the restaurant’s intimate sidewalk patio. DETAILS: Space is limited. 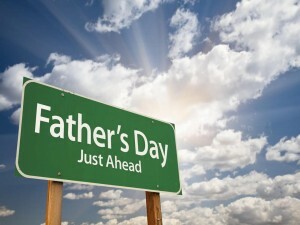 For reservations and information, call Casa de Bandini at 760-634-3443.